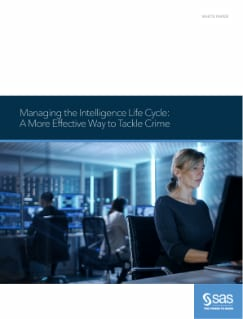 Because terrorists and other criminals are already using technology to carry out their missions, intelligence professionals need to access all available, appropriate information, to extract important elements and process, analyze and disseminate it quickly to keep ahead of potential threats. The scale, complexity and changing nature of intelligence data can make it impossible to stay in front without the aid of technology to collect, process and analyze big data. This paper describes a solution for how this information can be quickly and safely shared with access based on a user's organizational responsibilities and need to know.